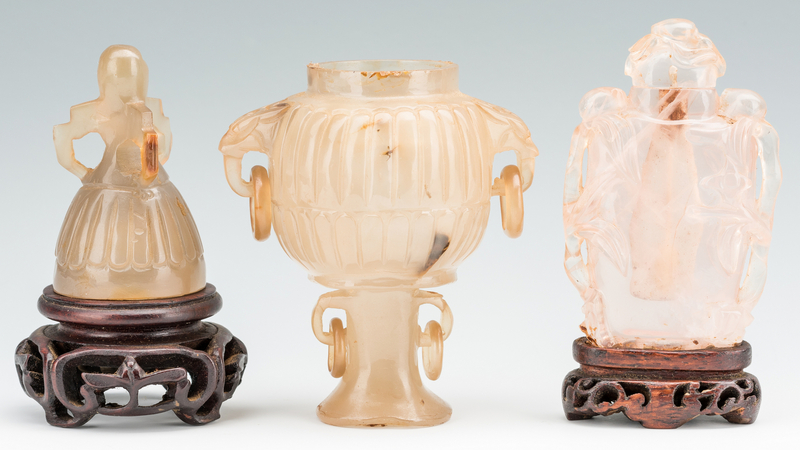 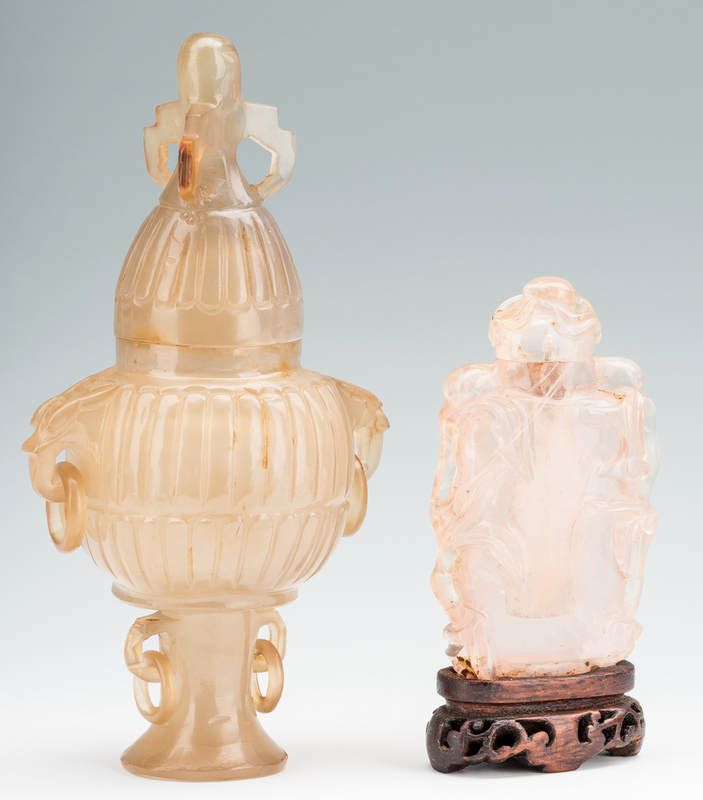 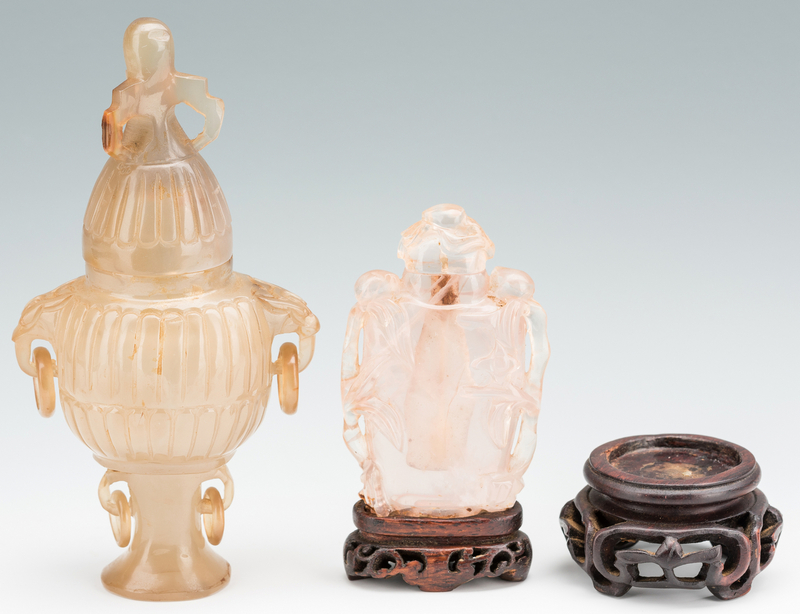 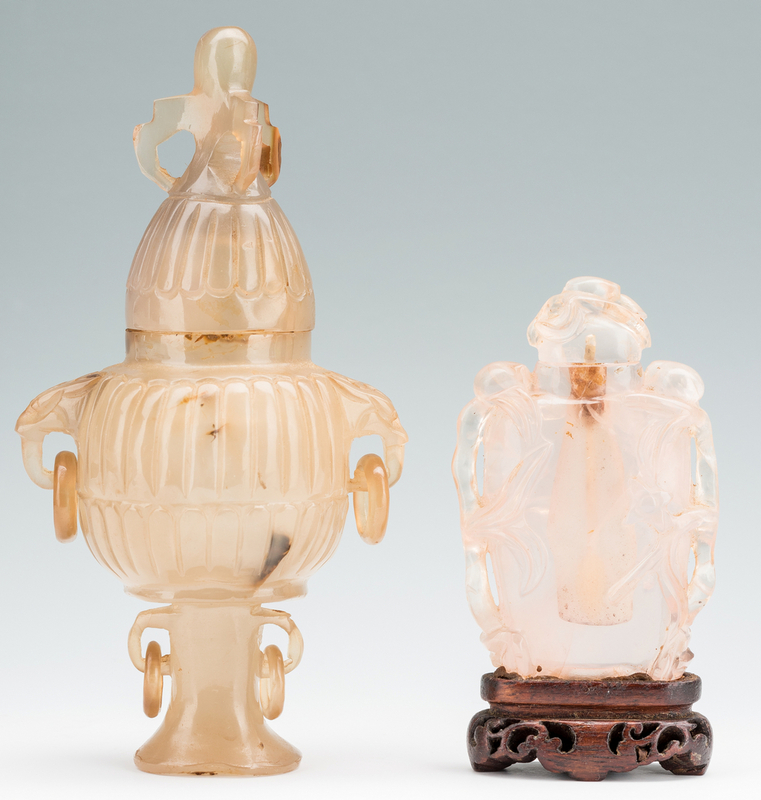 Two (2) Carved Chinese quartz items. 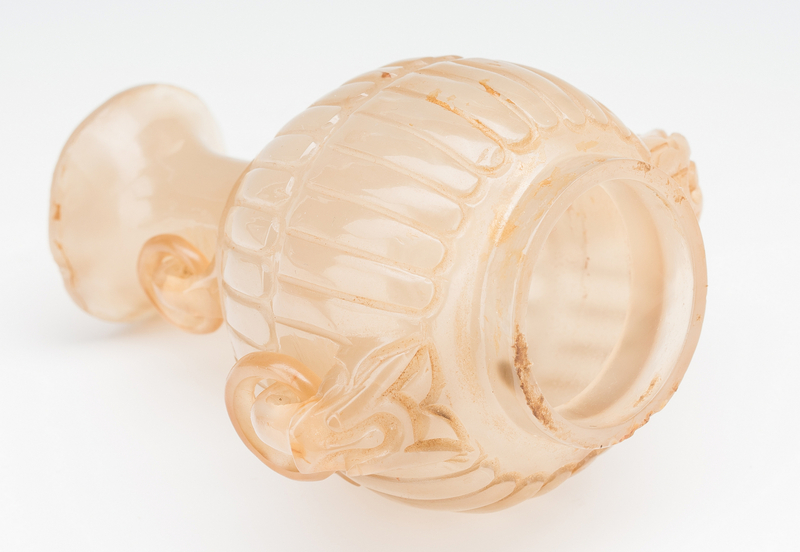 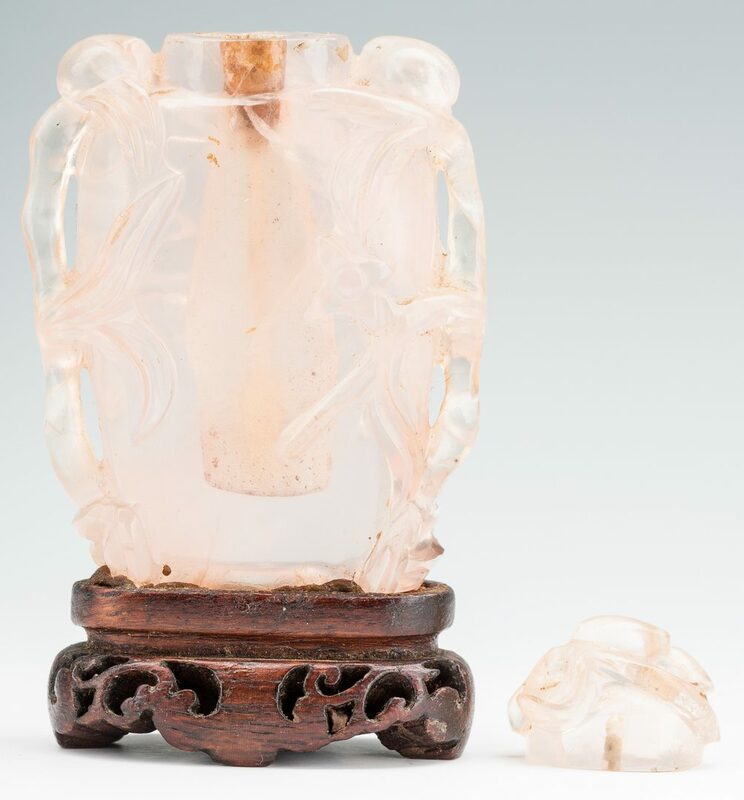 1st item: Chinese carved rose quartz miniature covered urn having a melon form body with conforming pierced cover, pedestal base, chilong dragon handles with rings and additional rings on the sides of the base. 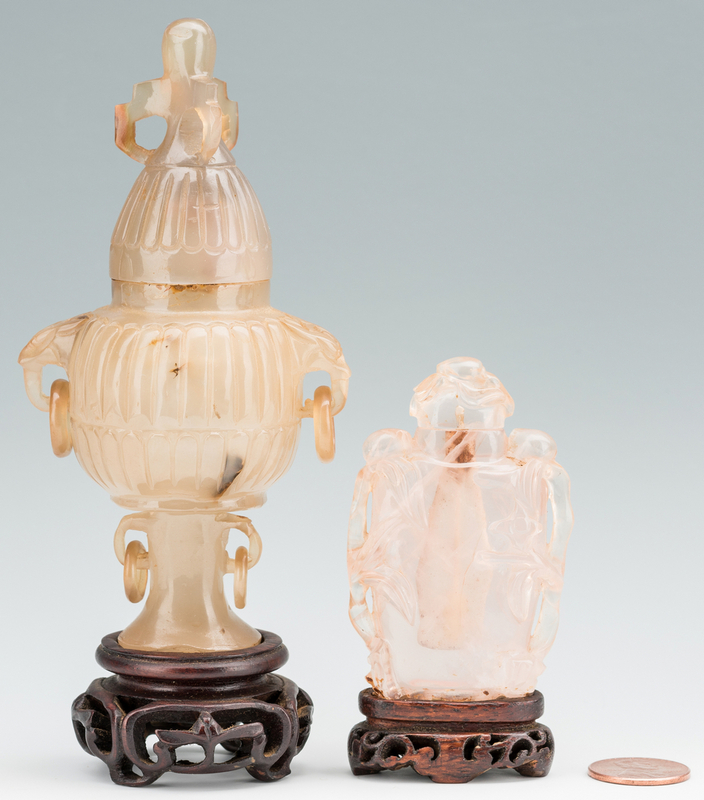 Fitted with a carved hardwood stand. 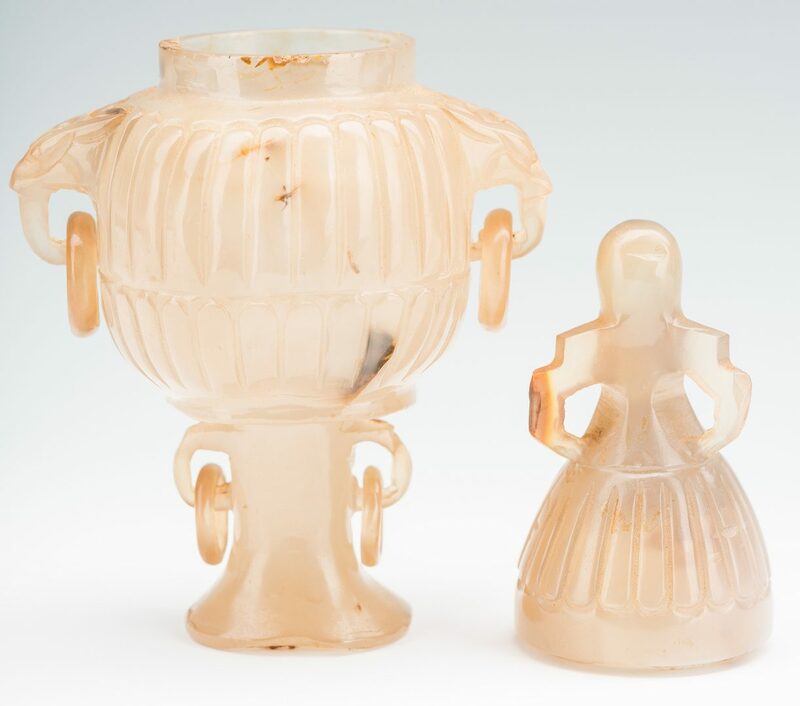 4 1/2" H. Late 19th century. 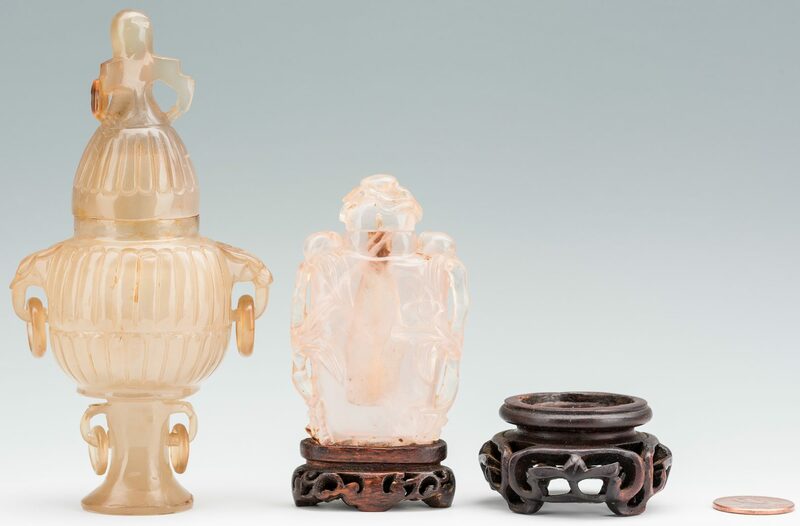 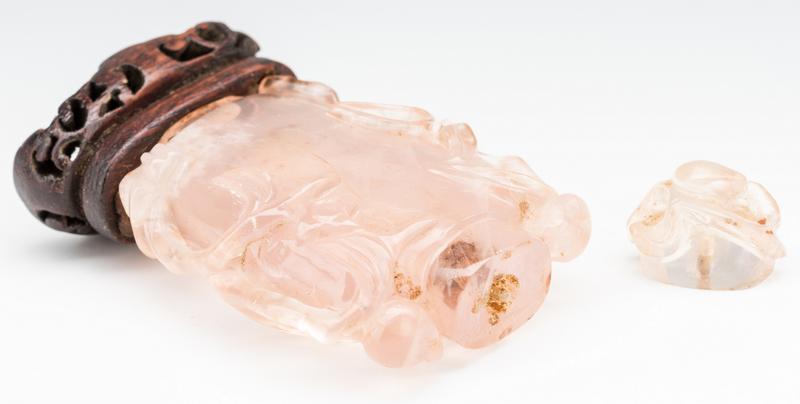 2nd item: Carved Chinese quartz snuff bottle with naturalistic flowering branch decoration, fitted with a carved wood stand. 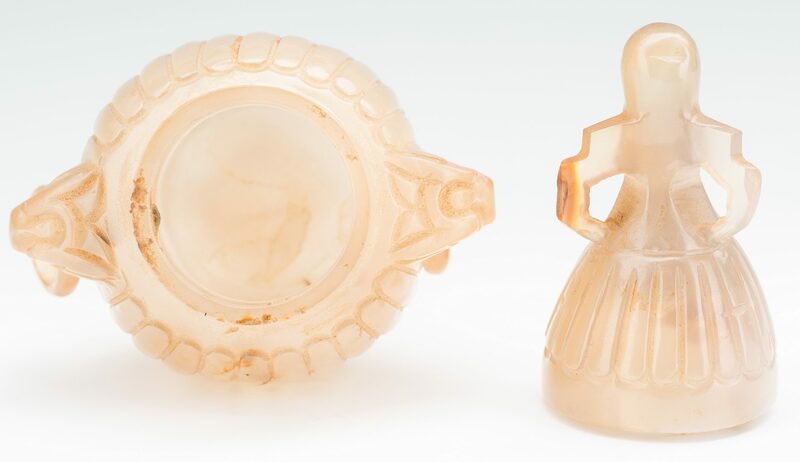 2 1/2" H. Late 19th century. 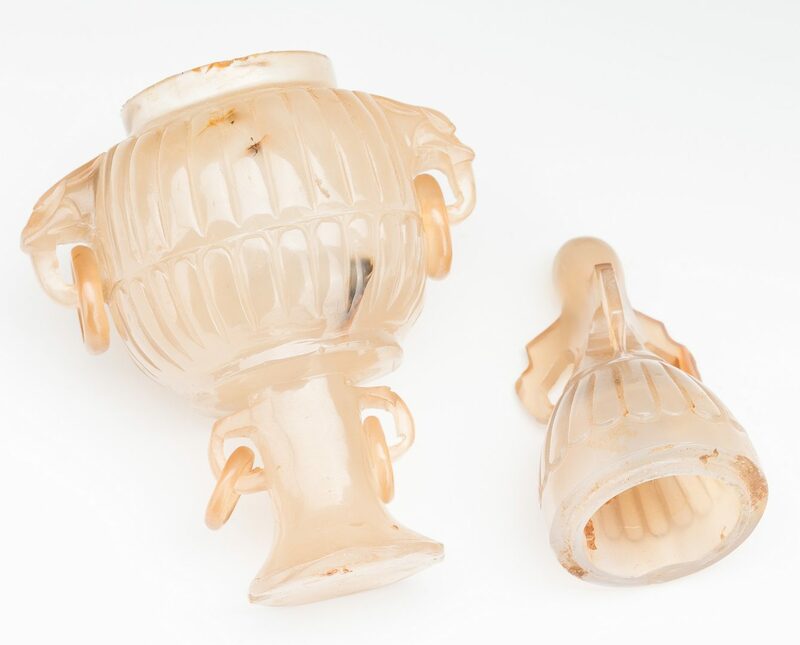 CONDITION: 1st item: Minor fleabites to rim of urn, interior of lid and old polished chip to the pedestal base. 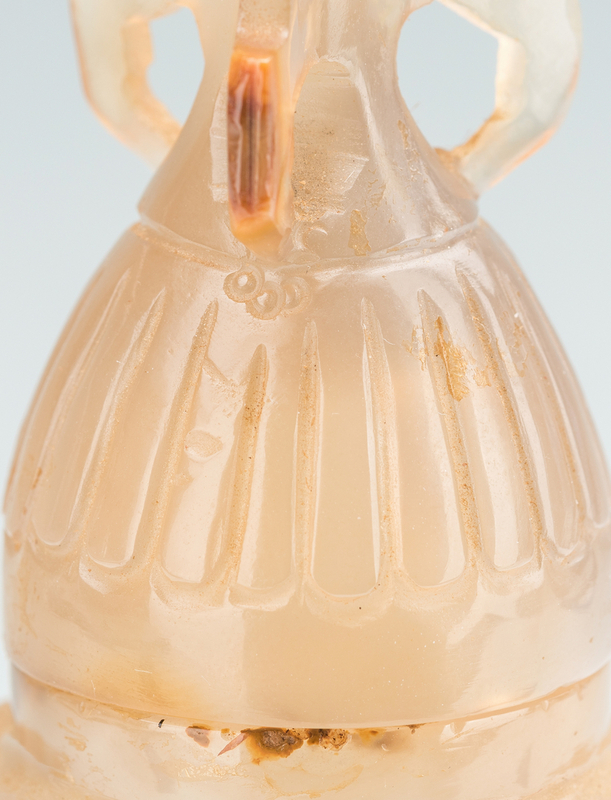 2nd item: Spoon detached from bottle finial/lid. 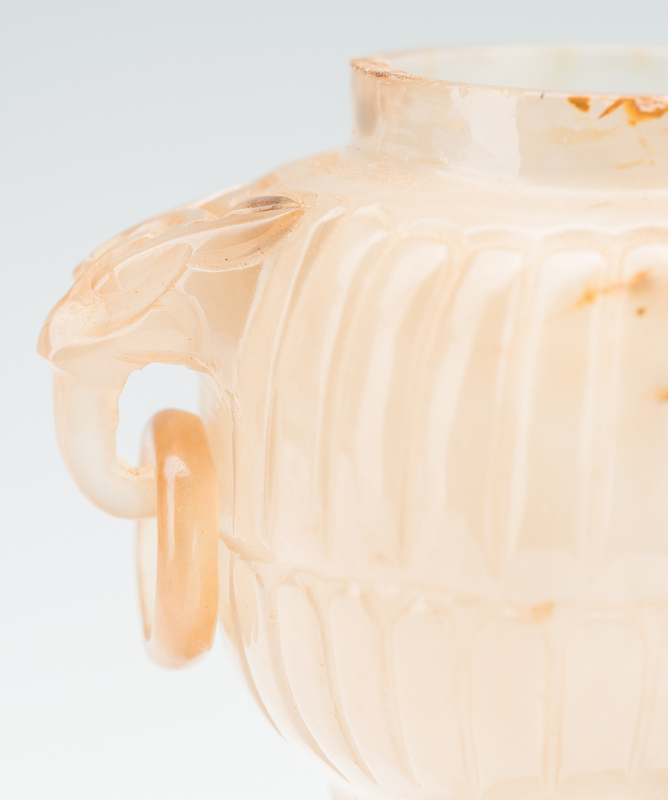 Cloudiness to one lower corner interior.